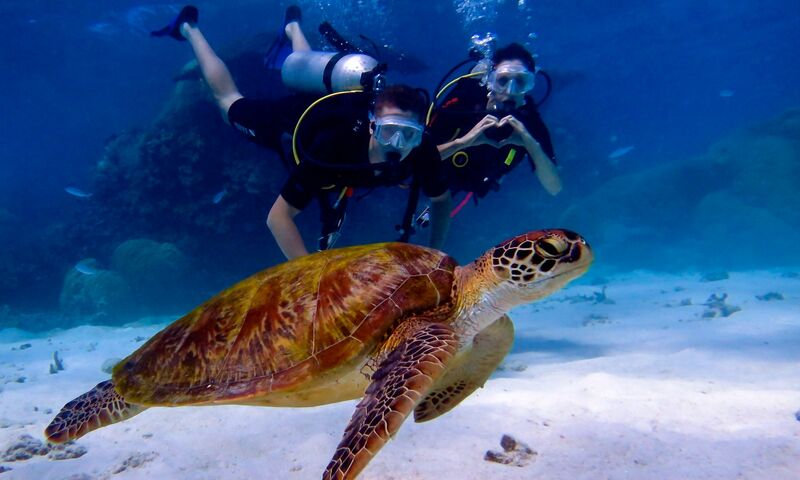 On our dives at the Agincourt and Opal reefs we regularly see Green and Hawksbill turtles. On the Great Barrier Reef live 6 out of the 7 known sea turtle species – we have Green, Hawksbill, Olive Ridley, Flatback, Leatherback and Loggerhead turtles. The only species of turtle that isn’t found on the Great Barrier Reef is the Kemp’s Ridley sea turtle which is only found in the Gulf of Mexico and east coast of the USA.